Thousands of people come from all corners of the world every year to walk what has become one of the world’s most renowned pilgrimages, but where did it all begin? 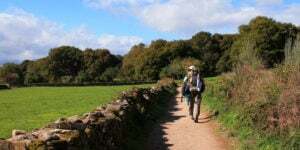 Today we introduce you to the fascinating history of the Camino de Santiago. 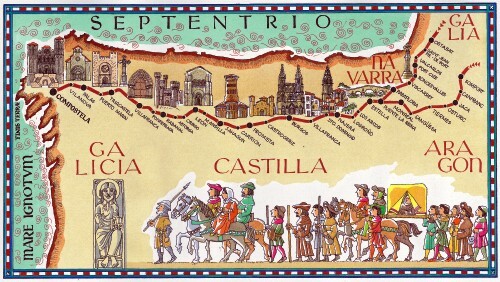 Mystery, legend and colourful myths are all part of the history of the Camino. According to the official history of the pilgrimage, the body of Saint James the Apostle, son of Zebedee and brother of John the Evangelist, was discovered by a shepherd named Pelayo in a field in Galicia during the reign of King Alfonso II, back in the 9th century. 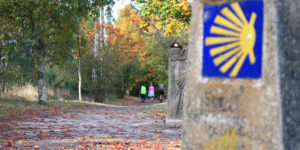 The Apostle gives the route its name: Camino de Santiago means the Way of Saint James; Santiago or Sant Iago meaning Saint James. Saint James had died some 800 years earlier and according to legend transported to Galicia (to the town of Iria Flavia, today’s Padron, on the Camino Portugues) by two disciples in a boat led by angels. Somehow his body was then buried in a field not far from there; where it would be discovered a few centuries later. Informed about this important discovery, King Alfonso II had a small chapel built in this holy place and would later commission a larger temple to attract pilgrims from all over the world, competing with other important religious centres of pilgrimage such as Jerusalem and Rome. 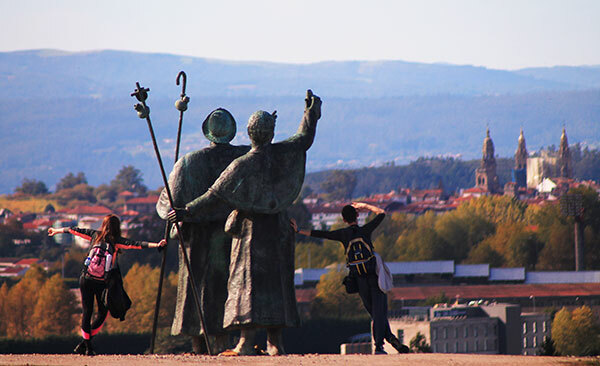 Of course at this point in time, religious buildings across Europe were busy competing for the best relics, as a way of attracting pilgrims, and the relics of Saint James would transform Santiago de Compostela into one of the world’s most important pilgrimage destinations. Apart from the obvious religious aspect, the discovery and the development of the pilgrimage route was also vital from a political point of view, as a big influx of faithful Christians travelling across Northern Iberia, settling along the way and creating strong cultural links with the rest of Europe, was a very powerful tool to keep the Moors away. However there is also an interesting pre-history of the Camino as it seems the ‘way’ might have had attracted pilgrims even earlier than the 8th century, as a route that followed the Milky Way all the way to Fisterra (Finis Terrae). Finisterre was believed to be the end of the world, and a magical place where the living could get closest to the land of the death, to the ‘other world’. The construction of the Romanesque cathedral began in 1078 and started a golden age for the pilgrimage to Santiago. 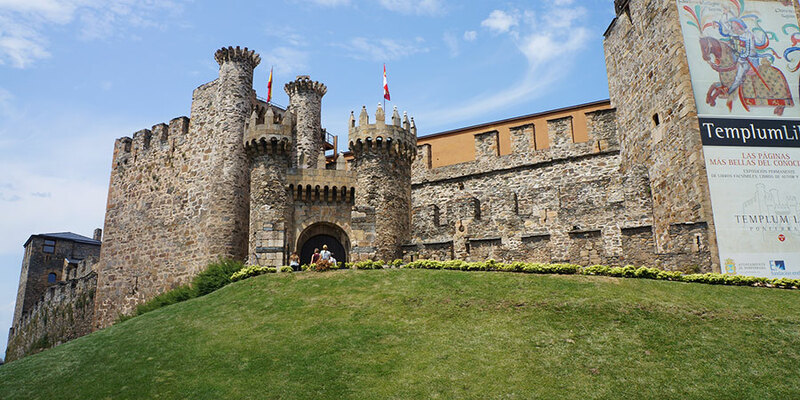 Originally the safest route would have been along today’s Camino del Norte and Camino Primitivo, believed to be the oldest Camino route and followed by King Alfonso II himself on his pilgrimage to Santiago in the 9th century. It wouldn’t be until a bit later that the Camino Frances would be developed by kings Sancho the Great and Alfonso VI across their territories of Navarra and Leon; shortly after having recovered them from Moorish influence. Monasteries, pilgrim hospitals, bridges and other important infrastructure was developed to protect pilgrims on their way to Santiago. The Christian kings also offered certain privileges to encourage the population to settle along the routes, with many towns and cities being developed and becoming thriving communities around this time. 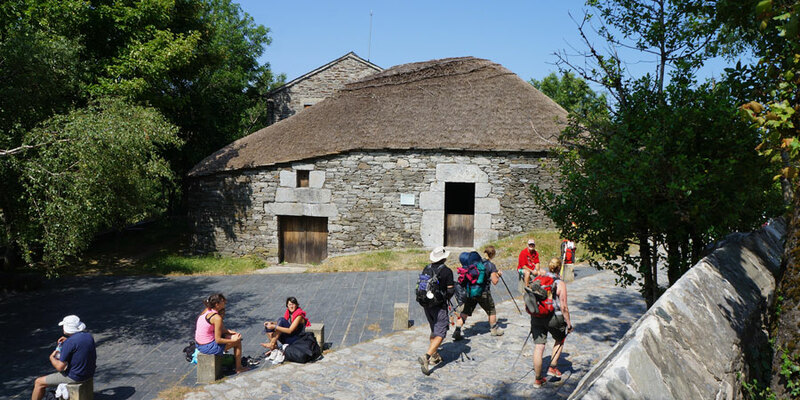 Many would start their pilgrimage from their own parishes and that’s how a web of Camino routes developed across Europe; most pilgrims would stop along the way in the different important pilgrimage centres to pay a visit to other saints and get the benefits of important relics. However, then as now, there was safety in numbers and most pilgrims would join fellow travellers along the way, with these branches converging with routes coming from other parts of Europe. For instance, many of the Camino routes in France join up before the Pyrenees, very close to St Jean Pied de Port. The 12th and 13th centuries marked the hey day of pilgrimage to Santiago with as many as 250,000 pilgrims travelling every year, moved by their faith but also by many other reasons: some wanted to secure salvation or pay a penance; but many others were also moved by money, undertaking the treacherous trip on behalf of wealthier citizens; or even to serve a sentence. Another good reason for medieval pilgrims was the promise of salvation: Pope Calixtus II had declared Holy Years all years when 25th July (Feast of St James) fell on a Sunday. From the 14th century onward and due to various circumstances such as religious wars and the Reformation, interest in pilgrimage decreased in general across Europe, including the Way of St James. While pilgrims continued to travel to Santiago, numbers were much lower than those of the pilgrimage Medieval hey day. From 1990s the Camino de Santiago has seen a fantastic resurgence due to tourism promotion efforts but also the work of Camino enthusiasts such as Father Elias Valiña, parish priest of O Cebreiro who worked tirelessly in the 1980s to both mark the route and to bring about a new golden age for the Camino, as a route of cultural exchange and communication and understanding between European citizens. He would certainly be very proud of the Camino today and its modern hey day. To give you an idea, 1,245 pilgrims arrived in Santiago in 1985 and over 100,000 in 1993, the year the route was declared UNESCO World Heritage. By Holy Year 2010 those numbers reached 270,000 and over 327,000 got their Compostela in 2018 alone. Why is The Camino not called EL Camino? 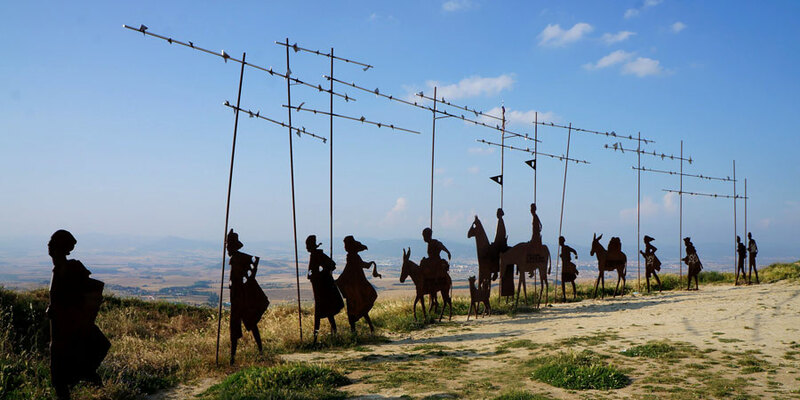 Dear Minda, you are probably thinking about the Cruz de Ferro, near Leon https://caminoways.com/cruz-de-ferro, a very special place for pilgrims. Let us know if you need anything else. Kind regards. What is thensmr of the place in the French route where there is a big cross on top of the hill and tge pilgrim leaves a stone?